Five years after the murder of Russian journalist Anna Politkovskaya, gunned down near her apartment block in Moscow in 2006, police believe they have arrested the chief suspect. However, strong evidence appears thin on the ground. Meanwhile, new persons involved in the murder have been established, Russia’s Investigative Committee spokesperson Vladimir Markin has reported on Friday. “At the request of the investigative group tasked with solving the crime, Lom-Ali Gaytukaev and Sergey Khadzhikurbanov have been transported to Moscow. 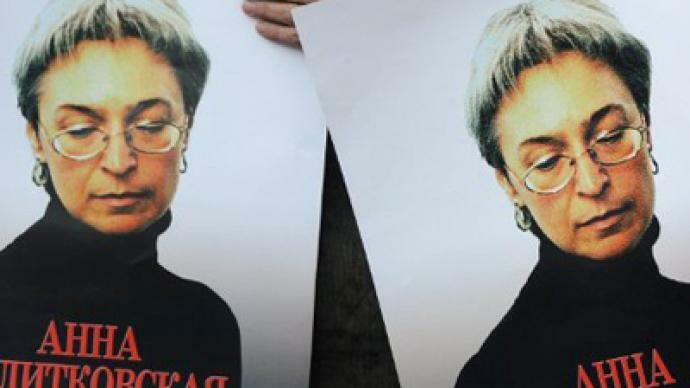 Today [Friday] Gaytukaev will be charged with the murder of Anna Politkovskaya in connection with her professional activities. New charges will be brought against Khadzhikurbanov in the nearest future,” Markin said. New charges will be brought against those who have already been detained – Rustam Makhmudov, as well as brothers Ibragim and Djabrail Makhmudov. They are currently under recognizance not to leave Moscow. Markin noted that the investigation suggests that Lom-Ali Gaytukaev, a Chechen native, is believed to have masterminded the assassination. In 2006, he received an order to kill Anna Politkovskaya. According to police, he organized the criminal group which included ex-police Colonel Dmitry Pavlyuchenkov, who has already been charged and then pleaded guilty, Gaytukaev’s nephews – brothers Ibragim and Djabrail Makhmudov – and Sergey Khadzhikurbanov. And while police say they have reached a turning point, the journalist’s family wants to see justice finally served. For police who worked on this day five years ago, it was a murder of a woman halfway through their shift, at around 4pm. For Vera Politkovskaya, the daughter of shot dead Anna Politkovskaya, it was halfway through her pregnancy, when she got a call her mother had been shot dead outside her apartment. In Vera’s life there are two distinct parts: “before” and “after”. “I was well aware of what kind of journalism my mother was into. She would occasionally say, ‘If something happens to me, the documents are here, the money’s here, here are the numbers to call…’ But we never really took it seriously. I was four months pregnant. The family was full of hope. And my mother promised that after her first grandchild was born she would stop going to Chechnya and take up quieter journalistic work,” says Vera Politkovskaya. But quiet journalistic work is not something with which you would associate Anna Politkovskaya. She investigated corrupt security officials and exposed human rights violations. She helped people win their cases in the highest courts in Russia and in Strasbourg. But the irony is that five years later, her own murder still remains unpunished. 2011 has, indeed, been a turning point. In May prosecutors named a man who is believed to have pulled the trigger. 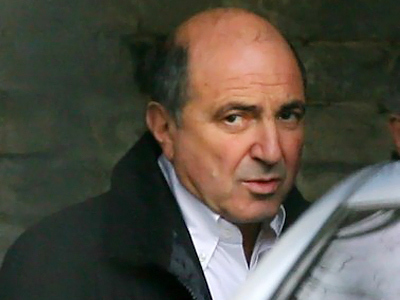 Rustam Makhmudov was arrested in Chechnya after years on the run in Belgium. Shortly afterwards, investigators announced they were close to solving one of the most high-profile slayings in recent Russian memory. “A former high-ranking police official - Dmitry Pavlyuchenkov - was a middleman, who for money agreed to organize a criminal mob, consisting of four people, to carry out the assassination. He kept tabs on Politkovskaya, provided the perpetrator with a gun and would organize other members of the group. We also have information about the alleged mastermind of the killing, but it is too premature to release that information now,” Investigative Committee spokesperson Vladimir Markin says. Novaya Gazeta, the newspaper for which Anna Politkovskaya worked up until her death, has been carrying out its own investigation into the journalist’s murder. The paper’s deputy editor says it is good that interest in the case is so high both in Russia and abroad, but it is bad when it turns into pressure on prosecutors. “We still believe that the four people – the Makhmudov brothers and their friend – who were in the dock and were acquitted in 2009, are in some way linked to this murder. But you cannot blame the jury for their acquittal. It was a lack of solid evidence presented in court. And all this happened because there was public pressure on the prosecution to hurry up. We think that even their arrests were too premature,” Sergey Sokolov, deputy editor-in-chief of Novaya Gazeta says. 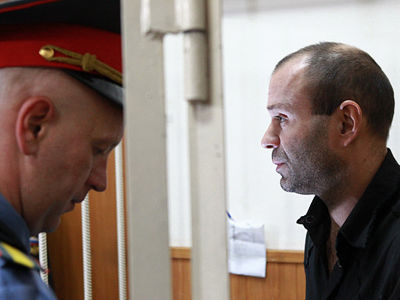 The Russian Supreme Court annulled the acquittal verdict of 2009 and ordered the reopening of the investigation. It is a significant part of the journey, but it is certainly not the end. One of the biggest challenges for investigators at this point is to find other suspects who are now on the run outside the country. But just like Anna Politkovskaya herself, her family and colleagues will never give up as they strive to find the truth. It takes very little to describe someone’s death. In the case of Anna Politkovskaya, just a dozen words on a piece of stone. But this journalist’s life and her legacy could never fit on a 40 x 40 marble plate.